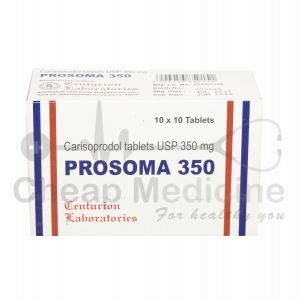 Prosoma 500 is brand of Centurion laboratories manufactured by same in India and contains salt carisoprodol. Prosoma 500 is a skeletal muscle relaxant usually used for treating pains associated with injury or other conditions. It is used to relieve from painful sensations in the body due to muscle injury stress, sprain etc. Prosoma 500 is manufactured by Centurion laboratories in India. 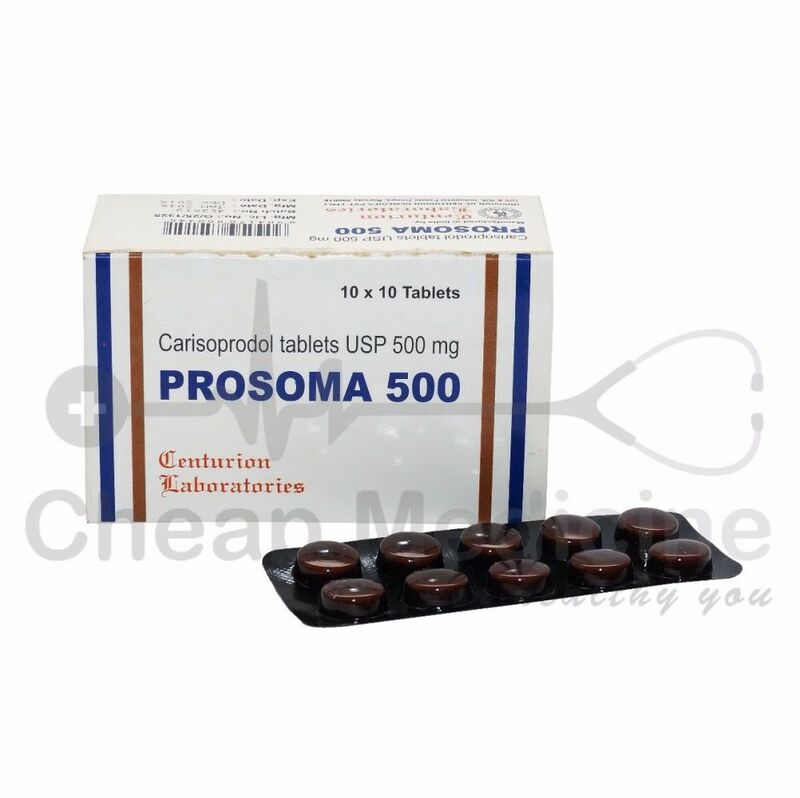 Prosoma 500 is available in strength of 500 mg of Carisoprodol. Soma and Vanadom are two brands available in US in the same salt of Carisoprodol. It is used as a muscle relaxant and pain reliever with other physical procedures to relieve from deep pain. Prosoma 500 works by blocking the nerve sensation in a specific part of the body and thus relieves the patient from pain. The dose of Prosoma 500 should be taken with full glass of water with or without food. Usually the dose range from 250 to 350 mg thrice a day. However, consult your doctor regarding the same. How long Prosoma 500 should be continued? Since Prosoma 500 is a habitual forming drug, hence it should be strictly used in accordance with your doctor’s prescription. Do not take Prosoma 500 without your doctor’s advice. Dose missed of Prosoma 500? Inform your doctor about the missed dose; however, take the dose immediately as soon as you remember. Do not take the missed dose, if the time for the next dose is near. Avoid being overdosed with Prosoma 500. Total of 698 drug interactions have been noted with the use of Prosoma 500. Common drug interactions associated with Prosoma 500 include esomeprazole, celecoxib, pregabalin, duloxetine, zolpidem, salmeterol, acetaminophen, montelukast, Vitamin B12 and Vitamin D3, alprazolam etc. Avoid taking Prosoma 500 if you are allergic to any of the constituents present in the drug. Side effects associated with Prosoma 500 include drowsiness and sedation headache and dizziness. Prosoma 500 is habit-forming drug. Hence its use shall be restricted to doctor’s prescription only. Do not take it without doctor’s advice. Do not stop and start the intake of Prosoma 500 without consulting your doctor.